I think Geoff Wade has overstated China’s interest in Sabah  and Malaysia’s willingness to work militarily with a big power such as China. Except for its traditional allies (US, UK, Australia, NZ & Singapore), I’d find it unimaginable for any other power such as China to have close defence ties with Malaysia for four main reasons. The first is historical: Malaysia is firmly in the US orbit, and moving even closer now under the Najib administration. Malaysia votes with the United States at least 85% of the time at the UN, and in recent years has moved away from its ‘hybrid neutrality’, towards a more pronounced support of the US (eg. voting to sanction Iran). Second, there’s an ideological challenge. Despite recognising China, Malaysia still views communism as a threat. The communist ideology is an anathema to many Malaysians, especially Muslims. 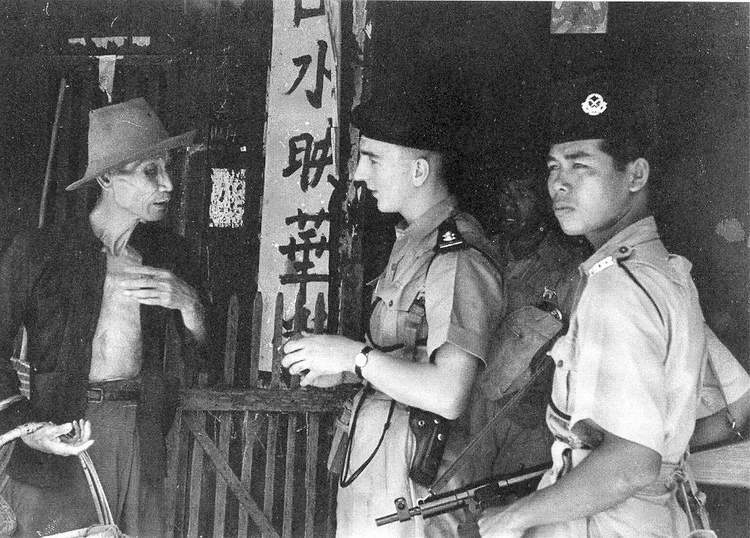 As well, the bitter experience of conflict between the Malayan Communist Party and the Allied forces (including Malaysians) during the Malayan Emergency of the 1950s is still very much alive  among many Malaysians . In fact, the ruling party is regularly criticised by the opposition for this ‘hypocritical stance’ of banning the ideology, but having close ties with CPC at the political level. Third, precisely because of the political and social cleavages Geoff identifies, the central government won’t allow any other force (except for its allies) to have a military presence in Sabah, for fear of providing any incentive to the state powers who may have remote thoughts of seceding. But all the same, any credible politician, both the ruling party and opposition parties in Sabah, has no interest in secession from Malaysia. While East Malaysian politicians from all side of the divide want a better deal for their states, there’s no talk whatsoever of secession. They may want Chinese investment and tourism, but certainly not Chinese military presence. Defence is a central government purview, and hence state governments will have no or little say in Malaysia’s defence relationships. Deep defence relationships like a shared naval base is an unlikely step: while there are issues of piracy and terrorism, Malaysia will most likely prefer other forms of collaboration (joint patrols, sharing of intelligence, etc.). And finally, to make it implausible, I think all the ASEAN nations (except for some of the smaller states such as Laos) want to avoid big power competition in the region. I don’t think any ASEAN member state will want any Chinese military presence in ASEAN’s neighbourhood, including Malaysia. I don’t see Malaysia jeopardising its (and ASEAN’s) long-standing policy of avoiding big power competition in the region. While ASEAN wants to work with China to find ways to resolve disputes in the South China Seas, allowing China military bases in the region isn’t likely to be one of them. Greg Lopez is a visiting fellow at the Department of Political and Social Change, Australian National University. Image courtesy of Wikipedia .